Osclass plugins and Osclass themes. Insanely good ones! Availability is a free plugin for Osclass that allows you to manage dates for your items. It will give your users the basic – yet, quite useful – information on when an item would be available and/or for how long an offer’s still available. 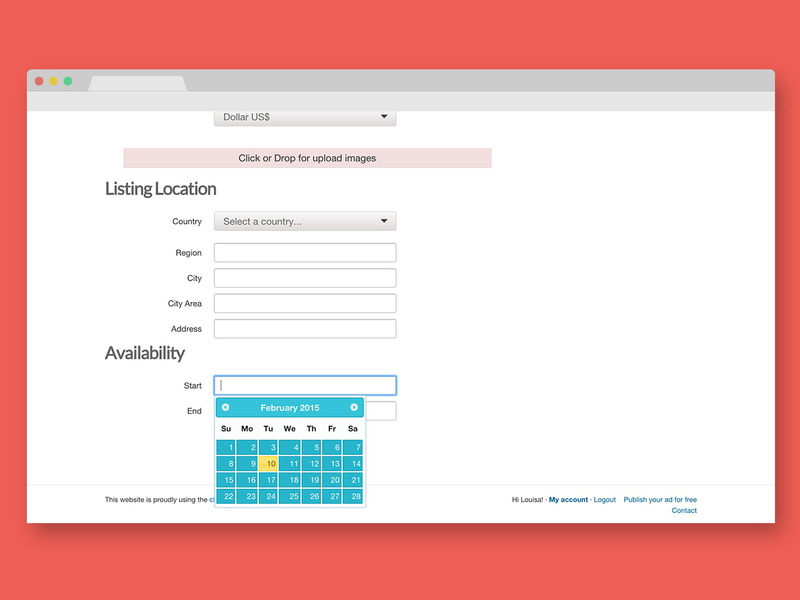 The plugin features three ways of specifying availability dates for items that you can choose through settings: asking for just a start date, between two dates, giving a start date and a duration. 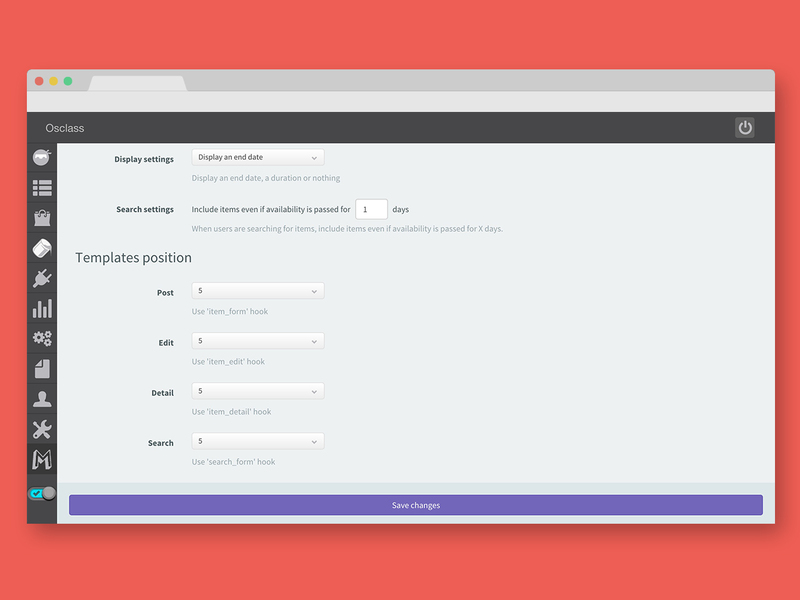 It automatically adds – without any code knowledge – to post item and edit item, search and item page as soon as you installed and configured it for some categories. 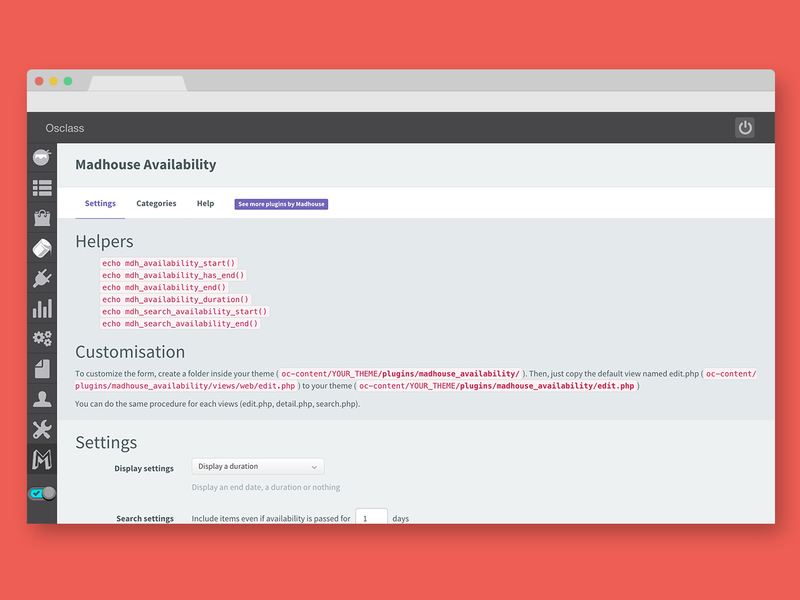 As usual with the carefully crafted Osclass plugins we made here, this custom attributes plugin, everything can be customized through settings or within your theme. This plugin requires PHP 5.3 or later and Osclass 3.3 or later.